NRL CEO Todd Greenberg revealed his daughter's friends' decision to walk away from rugby league helped convince him to push through the controversial "no fault" stand-down rules. Greenberg was giving testimony in the Federal Court on Wednesday as St George Illawarra's Jack de Belin fights the ARL Commission and the NRL to be reinstated to the playing ranks. In nearly three hours of testimony on Wednesday morning, he defended the game's controversial stand-down rules, under which players charged with a serious crime, which carry a jail term of 11 years or more, can be sidelined. 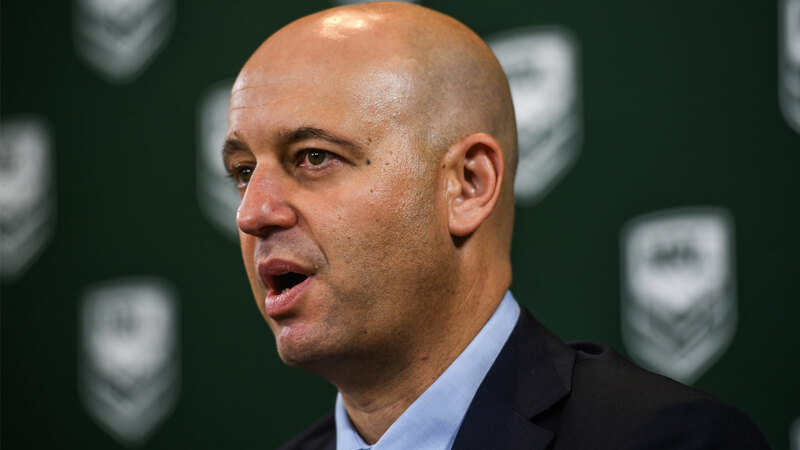 Greenberg insisted he introduced the rules to protect the image of the game following a scandal-filled summer dominated by negative headlines. De Belin has been charged with aggravated sexual assault, to which he has pleaded not guilty, one of the highest profile incidents in the game's so-called "summer of hell". Greenberg said part of the reason he acted was to ensure that female viewers and participants were not turned off the game. He revealed that friends of his daughter, who plays casual touch football, had told him they had quit the game because of the tidal wave of negative stories about the misbehaviour of first grade NRL players. "I'm the father of a daughter who plays regular touch football and a number of her friends have shared that the conduct of players is the reason they will no longer play casually," Greenberg said. "And that's in conversation over the last few months." De Belin's legal team attempted to argue there were many reasons why fans and participants had walked away from the game including dissatisfaction with referees, concerns about players suffering concussion and the proliferation of alcohol and gambling advertising. Tensions rose when De Belin's barrister Martin Einfeld suggested that the game's encouragement of wagering was leading to dissatisfaction among some fans. When Greenberg replied: "We've worked very hard over the last 24 months to ensure they are marketed correctly towards those who can use them." To which Einfeld replied: "That's complete and utter bull." Greenberg said while some expressed dissatisfaction with referees, officials did not turn fans off the game like the issue of player behaviour. "I've had fans tell me they'll never watch again because of the referees, only to turn up the next weekend and they're sitting in their seat," Greenberg said. Greenberg insisted he was acting to protect the game and its revenue. "Perception goes to brand and reputation, which results in revenue," Greenberg said. "Rugby league is a big business - $500 million (in revenue) this year alone. Which is distributed and goes back to stakeholders including players - of which there are approximately 500. Protection of the brand is paramount."